DHA is the predominant fatty acid in the central nervous system found in the walls of brain cells and is important for the natural repair process. Omega-3 fatty acids may be beneficial for joint health and are vital for vision. They play a structural and functional role in the retina and nerve cells of the eye. 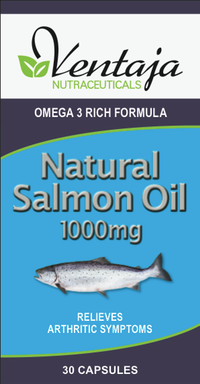 Ventaja Nutraceuticals™ Natural Salmon Oil contains premium quality omega-3 fatty acids, EPA and DHA. 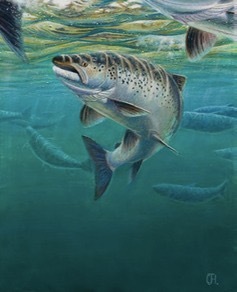 It is sourced from wild salmon that swim freely in the Arctic Ocean – ‘sustainable free range fish’. If symptoms persist consult your healthcare practitioner. Derived from seafood. No added gluten, lactose, egg, yeast, salt, preservatives, artificial colours and flavours. Mercury tested.